The Cytokine Panel 1 (human) measures 10 cytokines that are important in inflammation response and immune system regulation as well as numerous other biological processes. These assays can detect secreted biomarkers in a variety of tissues and body fluids where over- or under-expression may indicate a shift in biological equilibrium. The Cytokine Panel 1 (human) measures biomarkers that are implicated in a number of disorders, including rheumatoid arthritis, Alzheimer’s disease, asthma, various autoimmune diseases, allergies, systemic lupus erythematosus, obesity, cancer, depression, multiple sclerosis, diabetes, psoriasis, and Crohn’s disease. The Cytokine Panel 1 (human) Kit provides assay-specific components for the quantitative determination of GM-CSF, IL-1α, IL-5, IL-7, IL-12/IL-23p40, IL-15, IL-16, IL-17A, TNF-β, and VEGF-A. 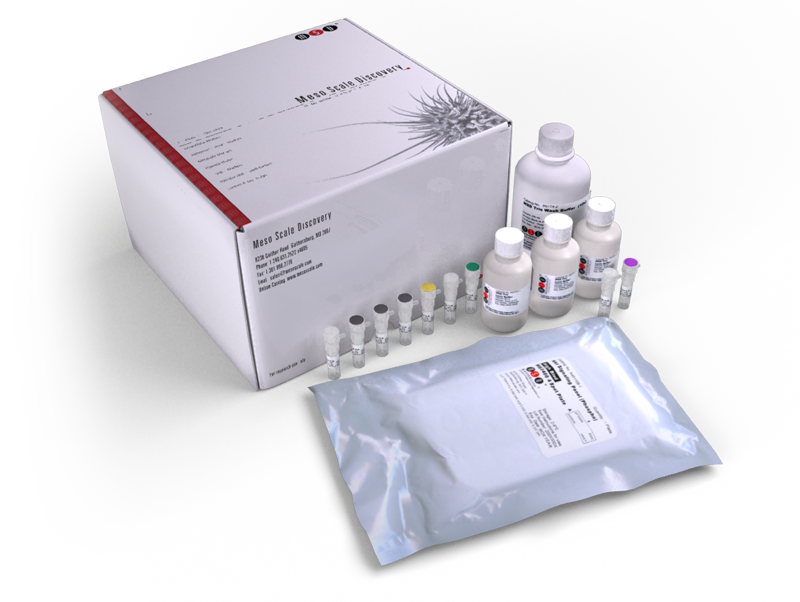 This kit may be used for the analysis of all or any combination of these cytokine biomarkers in cell culture supernatants, serum, plasma, and urine.